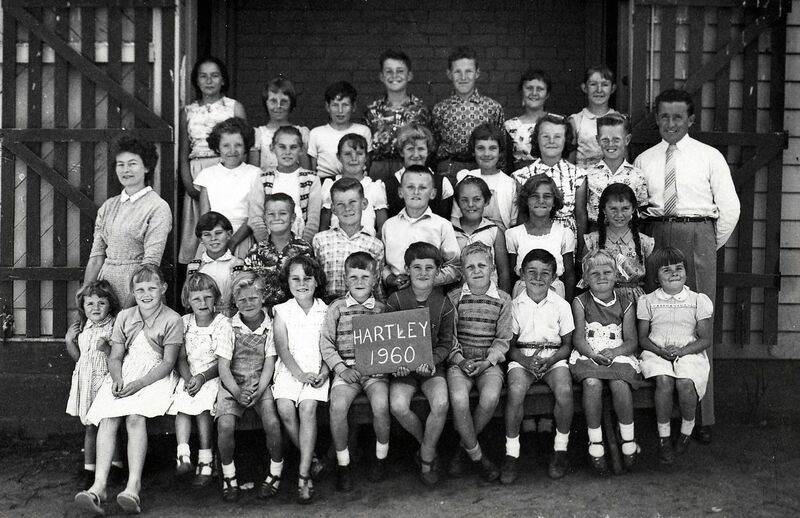 Many people within the Hartley community have fond memories of Mr Ian Thomas, the last teacher at Hartley Vale School in 1955, who went on to teach at Hartley Public School in Mid Hartley Road until 1963. Prior to coming to the Hartley Valley, Ian had taught at Meadow Flat where he first met Doreen Peters as his student, later to become a lifelong friend. 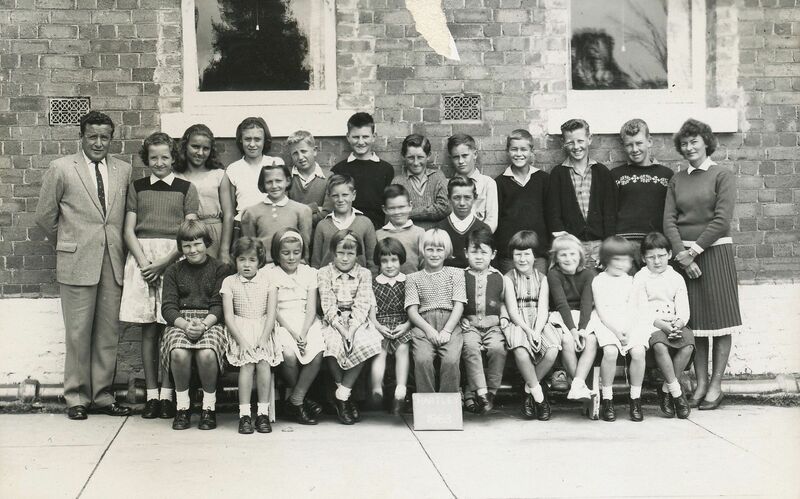 He and his wife, Betty, who taught the girls sewing, and their four children, Trevor (deceased), Marilyn, Elizabeth and Wendy lived in the Hartley Vale School Teacher’s Residence behind the old school there while Ian taught at Hartley. 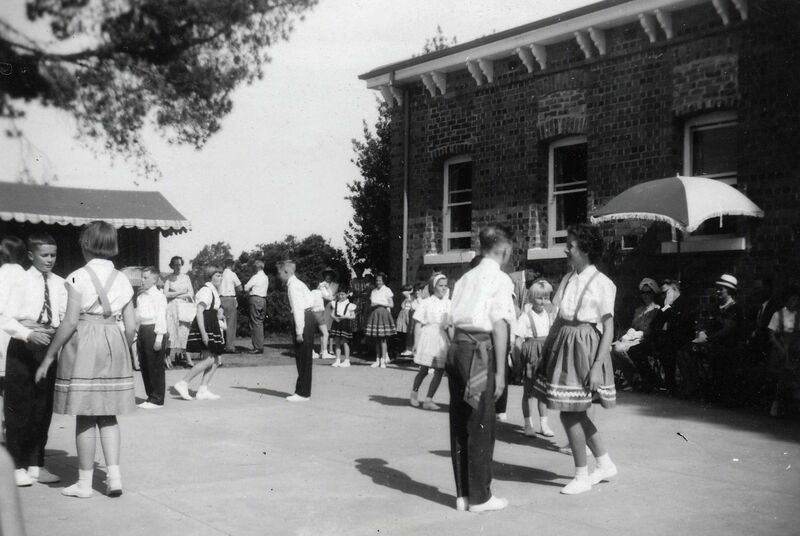 Highlights during this time include folk dancing, such as the original dance by the senior girls – the Hartley Apple Polka. A great adventure was a whole school excursion to Sydney to see a live production of Oliver and meet the cast, go up the Harbour Bridge pylon, the top of the old AMP building and enjoy a ferry trip. 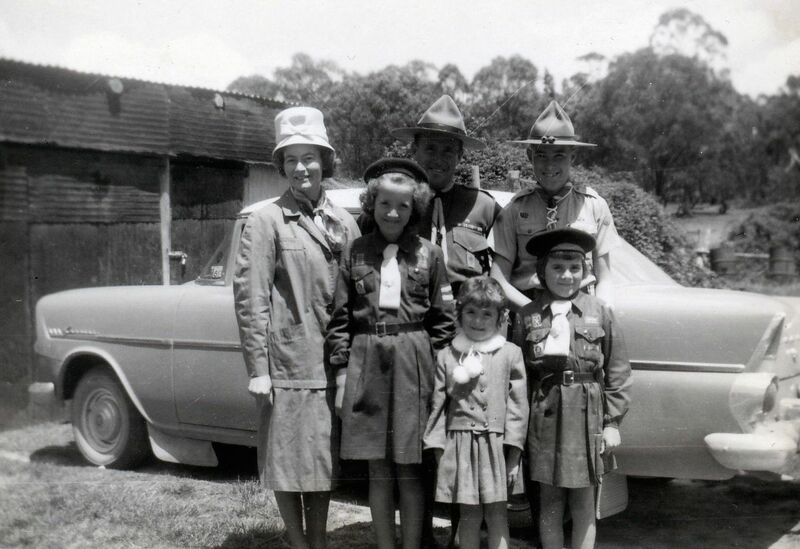 The students, teacher and parents, (including the Bookers and Corneys) travelled in cars. The end of year concert that year featured songs from Oliver. Concerts were held in the Progress Hall at its original site. P & C during his time was the planting of pine trees, planned for sale as Christmas trees……hence the forest behind the Hartley Public school today! From Hartley, the Thomas family moved to Wilcannia. Although they left the Blue Mountains behind Hartley remained in their hearts. 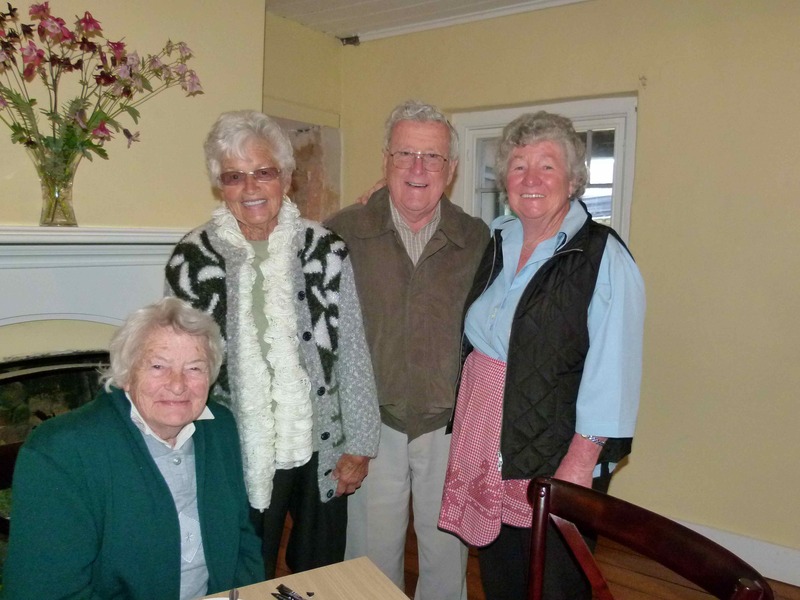 Ian and Betty returned to Hartley frequently to visit the school and catch up with friends made within the community. Ian lived a very full life, was instrumental in helping establish Kumon tutoring in Australia, continued to be active in the Scouting movement, was awarded an OAM for his services to youth in Scouting, schools and Primary Sports Associations and was the mainstay of the HMAS Barcoo Naval Association writing newsletters and organising many reunions. Ian Thomas died peacefully at Queen Victoria Nursing Home in Thirlmere, close to where he and Betty had lived during their retirement, on Sunday, 12th February, 2017 at the age of 92.